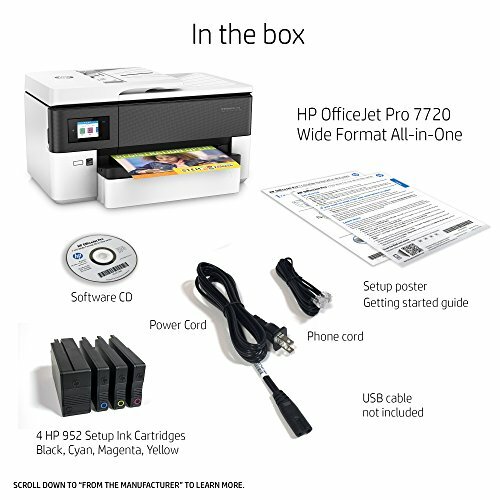 HP OfficeJet Pro 7720 – We’re a fan of A4 printers like this, which feed the long side of the paper, meaning you can also use A3, at least for occasional jobs. 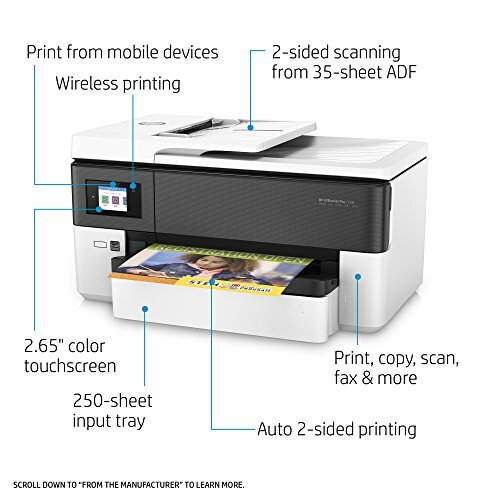 An A3 poster is much more eye-catching, and fitting two pages on each side of an A3 sheet lets you print out, fold and staple an A4 magazine or brochure. 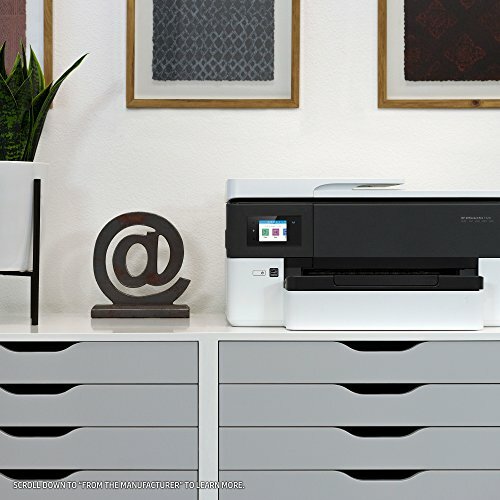 You wouldn’t want to attempt a print run of thousands with an inkjet like the OfficeJet Pro 7720, but it’s a very practical format for the home or small office, and for most people it’ll work out cheaper to run than a laser. 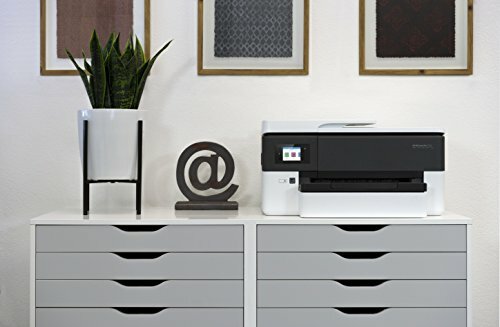 HP’s revamped case design has everything in familiar places, but looks notably neat and professional, though relatively large. It has clean lines and a striking combination of white and glossy black finishes. 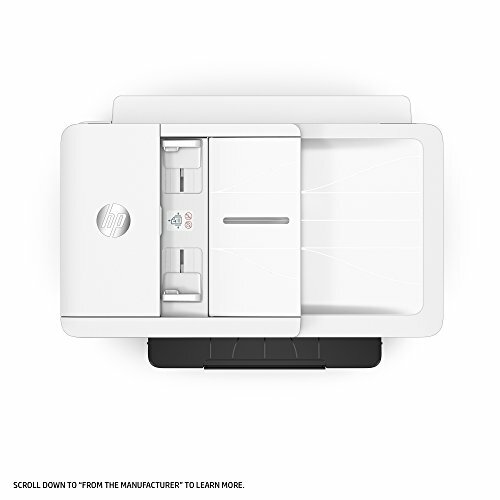 The touchscreen at the top left is a lot smaller than the black area around it, and although it looks like it might tilt up for easier access, it doesn’t. Still, options are clearly presented. 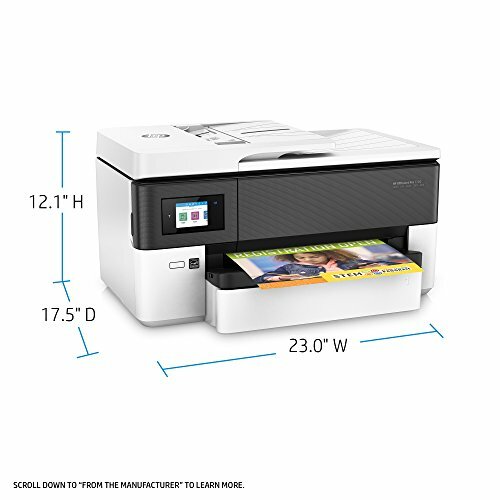 On top is an A4 scanner with a 35-sheet Automatic Document Feeder (ADF), which you can lift up to place thicker originals on the scanning glass. 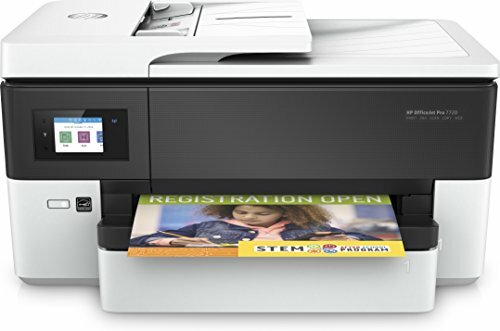 Either way, you can only scan one side at a time, which is a pain for big jobs. 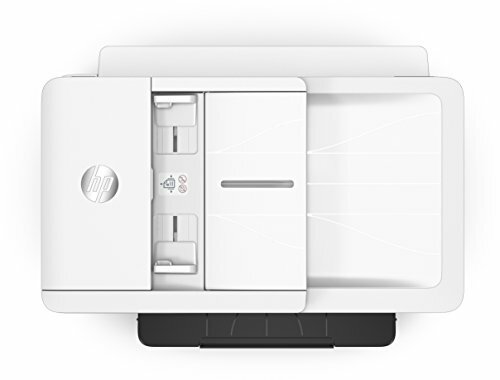 The printer can print both sides (duplex) automatically. 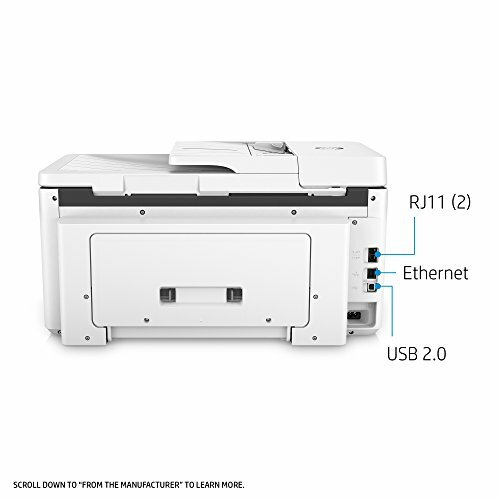 The OfficeJet Pro 7720 connects to your PC and other devices via Ethernet, USB or Wi-Fi, and HP’s Windows 10 software has been improved enough not to irritate us too much. 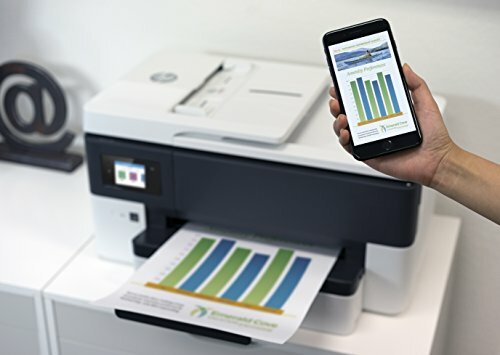 Our 25-page text document came out at 22.7 pages per minute (ppm), which is great for a basic inkjet, and color graphics only slowed it down to an acceptable 8.6ppm. Five A3 pages came out in 26 seconds, or a minute with heavy graphics. An A4 scan at a sharp 300 dots per inch took 10 seconds. 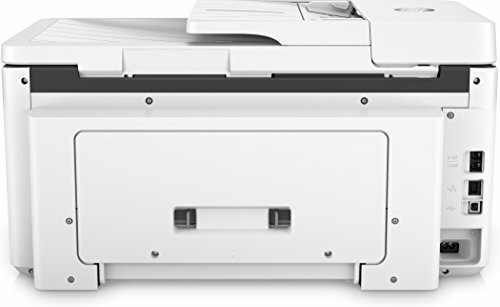 Single photocopies were a bit slow, at 16 seconds in black and white or 22 in color, while the ADF copied long documents at just over 7ppm. 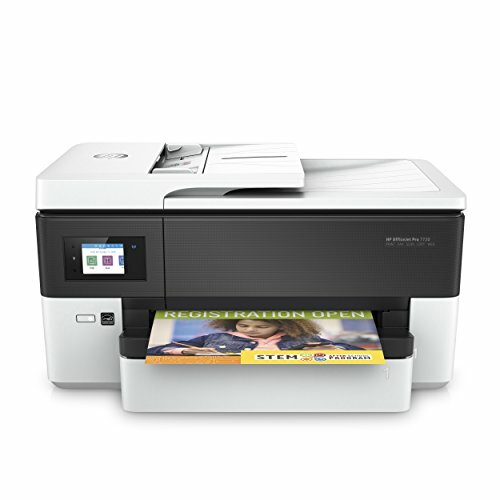 Print quality is generally good, although there are better choices for top-quality photos. Similarly, scans are sharp and accurate but didn’t find all the detail in shadows. 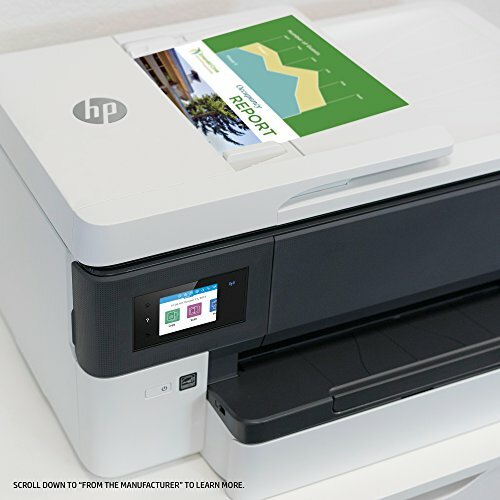 HP offers a choice of ink-cartridge capacities, with the biggest bringing running costs down to a reasonable 5p per standard colour page. 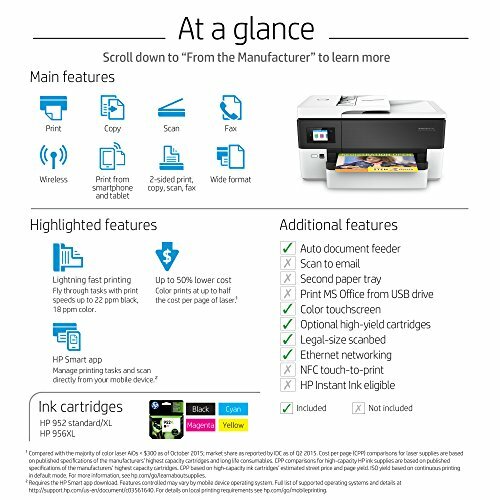 You can also subscribe to its Instant Ink service to get replacements delivered automatically, which it reckons will work out cheaper. 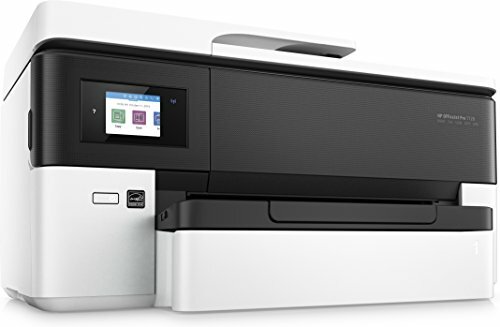 If documents rather than photos are your priority, this is an attractive and flexible machine that's reasonably cheap to run. 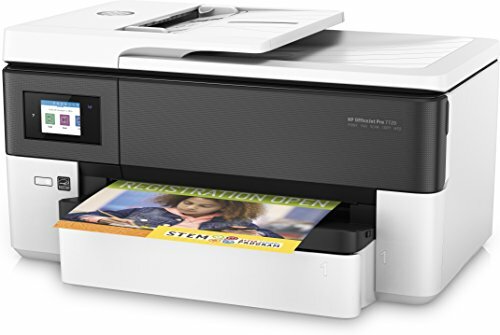 WIDE-FORMAT (11x17) PRINTER FOR THE OFFICE - Print up to 11x17, scan and copy up to legal size inches with this all-in-one, high-volume printer. 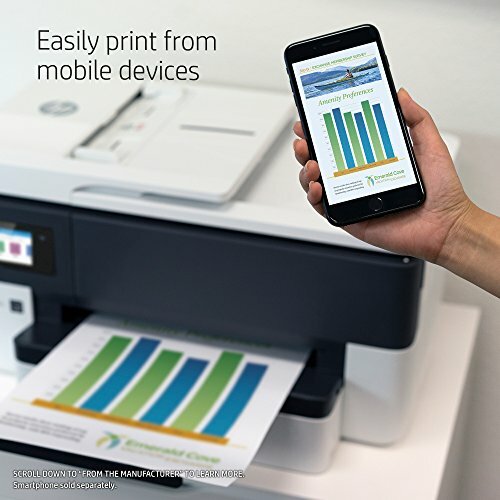 EASILY PRINT FROM YOUR MOBILE DEVICE - Simply connect your iOS or Android device and print using Wi-Fi or AirPrint with the HP OfficeJet Pro 7720 printer.